Life, Doctor Who & Combom: HUGE SPOILERS: Doctor Who Cybermen Design revealed! 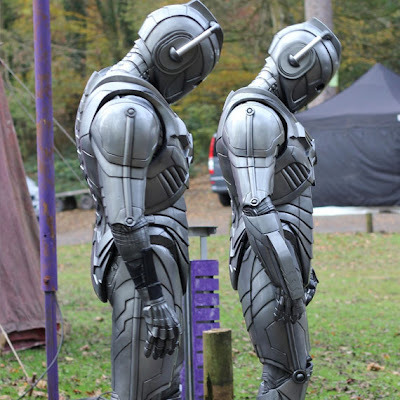 HUGE SPOILERS: Doctor Who Cybermen Design revealed! It's finally been done! Photos have been taken of the newly designed Cybermen. Several pictures are featured below that show them from nearly every angle. No source for these images, if you took them please do tell us and we'll add your name on it! What do you think of the new Cybermen design?